Simonik Moving & Storage has been the first choice for Berkeley Heights movers since our founding in 1977. Over the years, our family owned business has built a reputation for providing exceptional customer service and quality commercial and residential moving services. 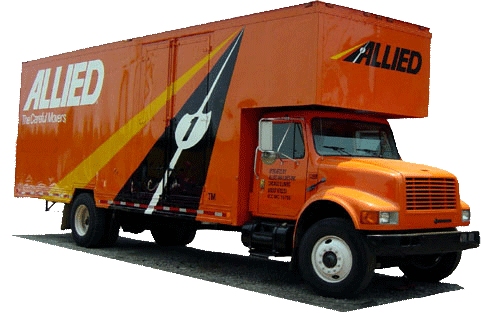 As an agent of Allied Van Lines we have the capability to manage all of your relocation needs, whether you are moving across town or across the country! Proud members of the New Jersey Warehousemen & Movers Association, a BBB accredited business, and certified ProMover, Simonik Moving & Storage is committed to providing quality, customer-oriented service. No matter what the size or scope of your residential relocation, the experts at Simonik Moving & Storage have you covered! To begin the process, we will have one of our professional employees come to your home to provide you with a written, free estimate for the moving services you need, whether you are looking for basic relocation or a full-service moving package! At Simonik Moving & Storage, our first priority during a commercial move is to help you minimize your company’s downtime and stay on budget! A personal move coordinator will be assigned to you at the beginning of the relocation process to assist you and your staff in making your company’s move go as smoothly as possible. Our moving packages are fully customizable and can include employee relocations as both a stand-alone service or as part of your office move. When you need to relocate specialized equipment, Simonik Moving & Storage can provide all of the expert moving services that your business needs. Whether you need to transport furnishings from a hotel, sensitive medical equipment, or industrial machinery, our experienced team of movers will get the job done quickly and efficiently. For your next relocation, look no further than the professionals at Simonik Moving & Storage! To receive a free, no-obligation quote, give us a call or fill out our online form today to connect with a moving specialist from the first choice for Berkeley Heights movers!